The new Surround Sound System SRC51 by adt-audio offers every required feature of an analog mixing desk in todays studio environment. Designed as analog counterpart of the DAW system the SRC51 makes possible to get the best out of both worlds at the best possible quality level and at an affordable price. 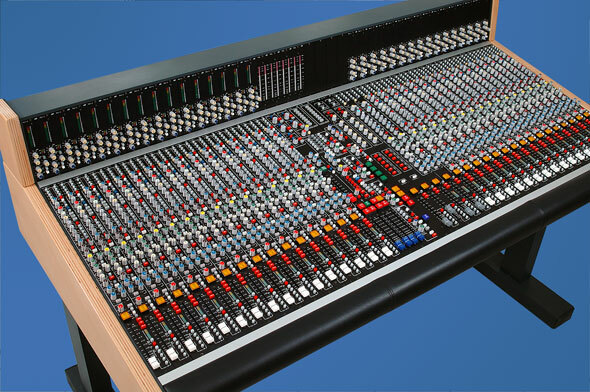 Detailed information on the analog Surround Mixing Console for DAW Studios is here. The Surround Console SRC51 covers the entire range of applications from the rack-mounted, small format 8 channel mixer as an analog add on of a DAW System up to a fully fledged, 64 channel stand-alone recording and mixing audio console. The mix master and the control room section of the SRC51 make possible real analog 5.1 surround mixing. 16 additional group rails can be used for recording, mono, stereo or surround subgroups and floating aux sends as well. VCA Grouping and an automation interface are included. The input modules can be delivered with or without mic preamp and with or without dynamics per channel. An upgrade for mic preamps and dynamic modules is possible at any time. Stereo Input Modules can also be used as Stereo Sub Group Masters. Any pair of groups can be configured by jumpers independent of the installation slot of the module. Group master amplifiers for the 16 groups are integrated in the mono channels; all the groups are available without the need of additional group modules. Additional rotary control for the level control of the groups. The main channel can be used in group mode alternatively. modular construction - large frames with only a few modules possible. You can start with a few channels and upgrade the system step by step. Automation interfaces for the adt-audio CAS automation system are standard with all input modules.